What have timber roofing batten and Marmite got in common? Until recently, nothing. However, now, they are both in the same boat – figuratively speaking. A couple of months ago, Marmite was proclaimed as the first casualty of Brexit after the media went into meltdown over a war of words that broke out between Marmite’s makers Unilever and supermarket giant Tesco. Unilever demanded a price increase to offset the higher cost of imported goods – so Tesco announced it was withdrawing the product from sale because it felt the 10% rise was unacceptable. The bun-fight was over in less than 24 hours, and three things happened as a result. The first was that sales of Marmite actually went up by 61%, with reports that an extra 130,000 jars were sold in the immediate aftermath. I’m sure Unilever was secretly pleased that the Marmite brand was actually enhanced as a result of all the media attention. The second was that other supermarkets actually introduced higher price increases – with Morrisons reportedly putting up its price by 12%. The third, and arguably most significant point, was the British public’s acceptance that price rises are an inevitable part of a post-Brexit Britain, at least in the short term – because of a range of factors, such as the fall in the value of the pound against currencies including the euro and the dollar. So, what’s this got to do with timber roofing batten? 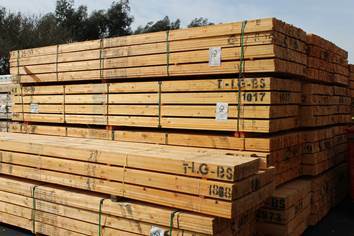 As we all know, the vast majority of timber used in UK construction is imported, and anything that comes over the water to the UK is going to be in the same boat as a whole host of other goods, including Marmite, and subject to pressures on cost prices. Some of this cost has been absorbed by companies liaising with their supply chains and sharpening their pencils where they can – however this won’t always cover everything, and we’ve seen prices creeping up right across the construction industry on a wide range of products and raw materials. Again, we look back to Marmite and see what Unilever has done. I’m sure one of the things that the makers of Marmite may have considered would have been to alter the recipe slightly and use cheaper ingredients to save on costs. However Marmite is a great British brand, and I’m sure consumers would quickly cotton on to any changes to their beloved spread. So Unilever will continue to do what it does best – making the best product it can. And, as a company that has fast become the UK’s first choice for roofing battens because of the quality and reputation of our flagship Premium Gold Batten, that’s what we’re doing as well. Some manufacturers may take the gamble, however we’re not prepared to mess with a winning formula – because we can’t afford to. And this is precisely because so many UK roofers depend on Premium Gold to be compliant with the new roofing regulations that came in as part of the introduction of BS5534 a couple of years ago. The industry has adapted well to the standard, and we all know what we’re doing. We know that BS-graded batten must have the number of the Standard marked on it – in this case, BS5534 – and not any other BS number. We also know that marked on a fully graded BS5534 batten is a code to identify which wood species has been used to make the batten. So, there is another Standard – BSEN13556 – which tells the producer which ‘letter code’ relates to which type of wood that has been used. BS5534 states that such letter codes must be stamped onto each fully graded BS Batten, as part of their required marking. So you should look for either ‘WPCA’ – which denotes spruce – or ‘PNSY’ – which denotes pine. Very often, however, since both species may be used in the same parcel, you will see graded battens stamped with the letters ‘PNSY/WPCA’ – which means that they may be made from either type of wood, which is perfectly acceptable. It’s always worth recapping because it serves as a reminder of how companies such as SR Timber have been at the forefront on raising standards on the quality, performance and durability of timber roofing batten. And at a time when we’re all feeling a bit of a pinch, roofers can rely on our market-leading Premium Gold to be genuine value for money because, after all, you get what you pay for. And our batten comes with a 60-year warranty against insect attack and wood rotting fungi (if installed correctly above dpc level in buildings) – now that’s one thing the guys at Marmite can’t do! This article by Shaun Revill, Trading Director at SR Timber, was first published in the December edition of RCI in December 2016.